The below information is on High School HeroesX' first challenge, based in Philadelphia on narrowing the education gap. For more information on High School HeroesX and their current challenges, please visit their website www.highschoolheroesx.com. For many years the graduation rate for high school students in Philadelphia hovered between 50% and 60%. While the rate has recently started to inch up, more than one third of students still do not graduate. perpetuated. Graduation from high school makes people more likely to be productive and prosperous members of society. This issue persists for many reasons, but as high school students, we think and, perhaps with naive optimism believe, that the challenge of increasing high school graduation rates in the Philadelphia area is solvable. Students involved in developing this challenge and competing to solve it are, for the most part, from schools in an economically advantaged region of the Philadelphia suburbs called The Main Line. They would like to help their peers in the region, in the hope that the zip code one comes from will not define their education opportunities and, subsequently, their opportunities to prosper in life. The team that "wins" this challenge a year from now is the one that will have earned the most points using the criteria below while achieving the stated breakthrough in a way that can be replicated and scaled throughout the city. The following criteria will be judged by a to be announced challenge Board of Directors, which will have a representative from each participating school. Also, please see below a more detailed timeline of the challenge and an introduction to the High School HeroesX organization. Friday, November 21st 2014 Challenge launches. Wednesday, January 21st 2015 An Advisory Committee will have been established to help with the challenge. Saturday, February 21st Students of all participating schools will reconvene to provide updates on their progress, share what has and has not worked for them, and talk about future steps in each school's "solution". Sunday, June 7th Students from all participating schools reconvene once more before schools are dismissed for summer break to provide updates on their progress and talk about goals to accomplish over the summer. Saturday, November 21st 2015 Students come together one last time to pitch their solutions, the impacts that they have caused, and why they should receive part of the grant money to continue to fund their plan in a greater area. After the challenge board of directors listens to the pitches, it will meet to decide the which schools will receive grant money to continue to expand their challenge solution. My name is Eli Wachs, and I founded High School HeroesX with the belief that youth can effect meaningful change on the world both today and tomorrow. As XPRIZE founder Peter Diamandis writes in his book Abudance, it is no coincidence that young people were behind getting spacecraft's to the moon in the 60's and behind the dot.com boom. While I’ve followed with amazement contests that XPRIZE has developed and executed, like the Ansari XPRIZE, which gave birth to commercial spaceflight, and the Wendy Schmidt Oil Cleanup XChallenge, as a high school student, I thought it would be great to be able to get classmates and others in the community to participate in a competition that could benefit our community, and we could see the difference we make. What if we took the competitive multiplier effect inherent to XPRIZE, but applied it to doing good locally? That’s exactly what High School HeroeX has been designed to do, and with the help of the founders of HeroX, I am proud to have created the first student designed and led HeroX challenge. My goal is to reach out to students in the Philadelphia area to hear their ideas for innovation and change. Whether it be developing a more efficient and environmentally friendly road salt in light of the record winter Philadelphia just witnessed, or an audacious idea to develop Philadelphia’s waterfront, I invite all to post their ideas for a better tomorrow. With a challenge design session among students to be held October 26th 2014, I encourage all to research issues in the area and think about what they would fix if they had a magic wand they could wave over the city and surrounding area. The point is to be audacious and think big—not to be limited by what you think is possible. Any type of student can be a Hero. this was a challenge entirely created and designed by high school students. This means that the majority of those working on the challenge not only found this a worthy cause to champion, but also know enough about the issue to identify key breakthroughs needed to make a major impact in our community. Though the issue of under-education has long been present, it became clear to me through conversations with Montgommery County District Attourney Risa Vetri Ferman and Philadelphia Mayor Michael Nutter that the people to best understand high school education are high schoolers themseves. Therefore, any student, is "best suited" for this challenge because every day they walk and live the reality of what teaches students, what interests students, and what inspires students. High School HeroesX adds the incredible Joshua Lafazan to the Advisory Board to its PHL Education Challenge! Though the 2015 summer portion of our education challenge is complete, HSHX is still planning on expanding its efforts come fall to effect more positive change in the education sector, and help more students learn the tools they need to succeed in higher education and in life. To do so, we are beyond thrilled to add such an amazing mind for education, and caring mind for students, to the Advisory Board to the challenge to continue to assist our teams. Bio: Joshua Lafazan became one of the youngest elected officials in the history of New York State when at 18 years of age he was elected to the Syosset School Board of Education, receiving 82% of the vote in May of 2012. At the time of the election, Joshua was Senior Class President, graduating from Syosset High School in June of 2012. Joshua is currently a senior in the Cornell University ILR School. ​Joshua’s dedication to community service began before he ran for the school board. Joshua is the Founder and C.E.O. of Safe Ride Syosset, Inc., a community outreach program dedicated to ensuring that no Syosset teenager gets behind the wheel of a car while intoxicated, or is the passenger in a car with a drunk driver. Joshua continues to make volunteerism and community service a priority in his life. Joshua is a member of the Board of Directors of the Long Island Council on Alcoholism and Drug Dependence (LICADD), whose mission is to aid both families and individuals who suffer from alcoholism and drug addiction. Joshua is a member of both the Nassau County Heroin Prevention Task Force as well as the Long Island Youth Safety Coalition, helping to bring the perspective of youth into policy conversations across Long Island. After being appointed by the Nassau County Executive, Joshua was confirmed by the Nassau County Legislature as a member of the Board of Directors of the Nassau County Youth Board, a government agency that oversees funding for youth programs. Additionally, Joshua is a volunteer firefighter in the Varna Volunteer Fire Department. On Joining the Board: "Joining the advisory board of the High School HeroesX education challenge was a no-brainer; what Eli and his team are doing is simply remarkable. Affording Philadelphia based students the opportunity to unleash their full creative potential through social change means we're helping to cultivate a generation of activists in a world that so sorely needs them. I'm proud to be a member of the advisory board, as I believe it is truly a game changer." Welcome to the board Josh: we know you will help us truly change more lives! Due to travel, the third week at Gesu was limited to one visit by Penn Charter. Despite technological difficulties, the day was far from over as the computer literacy curriculum turned into a fun day of spelling games that were recommended by the Gesu students. The first game was called Sparkle, in which Penn Charter students picked a word, and then went around in a circle with each person spelling one letter of the word. 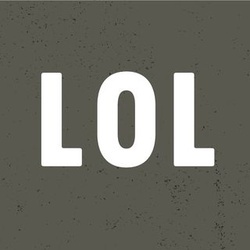 After the last letter of the word, the next person would say “sparkle” and be out of the game. Also if one misspelled a letter, they too would be out. The last person left in the game wins. Students also played a game where they would think of things like animals, country and foods that began with the last letter of the previous object the person before them said. Lastly, the students played a word guessing game called Contact. The fourth week of the High School HeroesX summer program at the Gesu School, which was the week of July 13th, saw continued work in our computer literacy, career development, and big world topic curriculums. To start off the week on Tuesday, Haverford worked on career development with the rising 5th grade Gesu boys. The students truly excelled (as they had in all elements of the summer program), showing an eagerness to go from learning about broad careers to specific jobs within those careers. Two boys especially strong at math wanted to be engineers, and thus Haverford students prepared slides and showed the students websites that helped them compare and contrast different engineering jobs. By the end of that day, these two students had focused in on electrical engineering and civil engineering. A boy in love with science, but also a fan of our coding curriculum, was enamored with the prospect of using software programming in the expanding field of biotech. Lastly, a boy wanted to give back to the community and become a federal agent, so the class explored the differences between FBI and CIA agents. With the rising 4th grade boys, Haverford played math games to work on multiplication, fractions, and word problems. 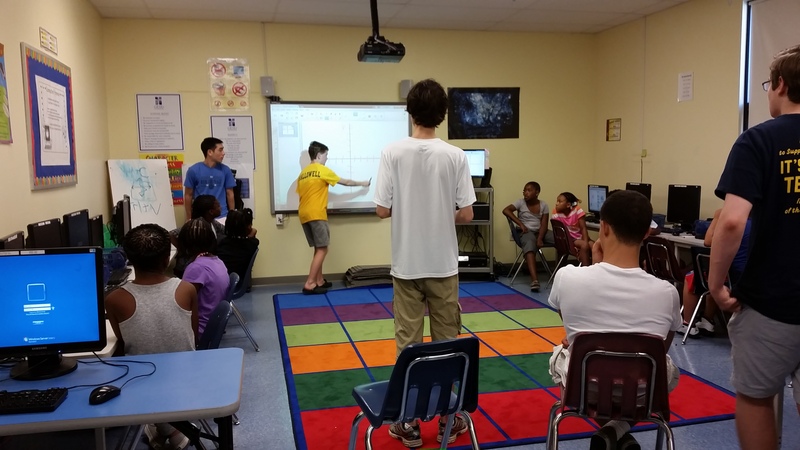 By playing fun and interactive games, Haverford students noticed a definite improvement in the students’ abilities as the class progressed. For example, one student went from struggling with multiplication tables up to 4 and 5, to dividing multiples of 7,8, and 9 with ease. On Wednesday, representatives from the Constitution Center came to talk about the importance of, and what it means to be a good citizen. Conversations ranged from being a good citizen at your school, to being one in your community, country, and with your family. The Center talked about the importance of exercising your right to vote, being an active member of your community, and helping in ways big and small. The Constitution Center also spoke of Black History in our country, where students demonstrated an impressive knowledge. Students from Radnor and Agnes Irwin, who are working on big world topics, worked on expanding this lesson to talk about citizenry throughout the world, forms of government, and overall civic engagement. Haverford was back to work with all of the students on math and career development on Thursday. The day started by playing math games with the younger students, with a special focus on division, word problems, and money problems. Using coins and dollars helped make the problems tangible, which allowed tougher problems to be given as the day progressed. They were prepared to work on ratios and ordering the coins based on descriptions in the problem by the end of the lesson. With the older students, Haverford had the rising 5th grade boys and girls share with each other for the first time their careers of interest, before all students filled out a sheet noting the skills needed for their careers, and ways in which they could attain them. To conclude, a difficult version of math bingo was played with large numbers and fractions. The winner of each round received the pleasure of calling problems for the next round; the grins on their faces as they challenged their classmates was truly priceless. To conclude the week, Penn Charter worked with the students on how to use Powerpoint. Starting with how to make a nice opening slide, the day progressed to include adding transitions in between slides (a favorite for students), selecting proper presentation themes from the powerpoint menu, citation pages, and concluding slides. Students were then tasked with researching their favorite animal, and making a presentation to give to the class on it. Animals ranged from puppies, to wolves, to even ligers! The presentations were beautifully prepared, both from an aesthetic viewpoint, as well as the information contained within. The second week during which High School HeroesX worked with The Gesu School saw similarly encouraging signs as the first. The week started with Penn Charter running the second week of their coding/computer literacy curriculum. Students continued to use the MIT program Scratch, this time learning how to: rotate a virtual character, make it speak, and create a thought bubble over its head. This session ended with a competition: the first student to make their virtual animal walk 10 steps forward, rotate 15 degrees counterclockwise, and then think “Coding is fun!” would win. Students eagerly raced to the finish, and though there was technically only one winner, Penn Charter was amazed at the speed that all of the students were able to complete the task. Perhaps even more touching was seeing students help their peers complete it after they had finished it themselves. To round out the week, The Baldwin School continued its career development curriculum, and played some math games with Gesu girls in grades 3-5. In the second installment of the career development curriculum, Baldwin tasked the girls with using websites in order to further their knowledge about their careers, and then to complete a worksheet that detailed how to best prepare for it. Some of the research included: what middle and high school courses to take, what to do outside of school, and what to expect in the field (is it growing? do I need a masters?). Afterwards, the girls played various math games, including a crowd pleaser “Math Bingo”, in which multiplication tables were practiced in order to fill out the boards. Due to travel, week 3 at Gesu was limited to just one visit, but we will post an update about it, as well as Week 4, next week! 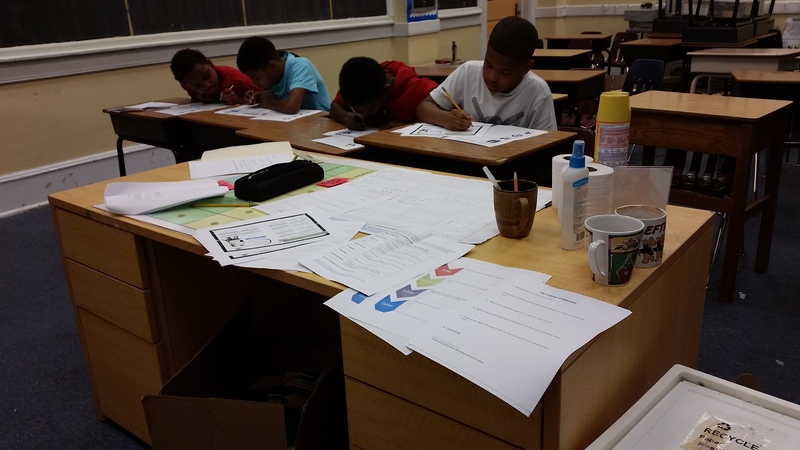 The past week was the first week in which High School HeroesX worked with The Gesu School in North Philadelphia. Before describing the exciting work done between HSHX chapter schools and Gesu students, we want to provide a bit of background on Gesu. Realizing that it would be quite difficult to see if high school graduation rates were tangibly improving with our work in just one year, HSHX sought to find a school to partner with which already had strong performance in this regard. In so doing, we felt that we could learn from an already strong program, while working with them to find areas which still needed improvement. The Gesu School (K-8) seemed like an ideal partner. In a city where approximately 65% of public high school students graduate from high school in four years, more than 90% of Gesu alumni graduate high school on time, and of those graduates, 85% go on to college or post-secondary education. Also, as with many of our participating chapters, Gesu finds an importance in single gender education. By working with already high achieving students, HSHX hopes to see what can be done to provide the best platform to not just graduate high school, but graduate it with the tools necessary to thrive in the "outside world". Additionally, we will update shortly our criterium for the winner, which will be found here. 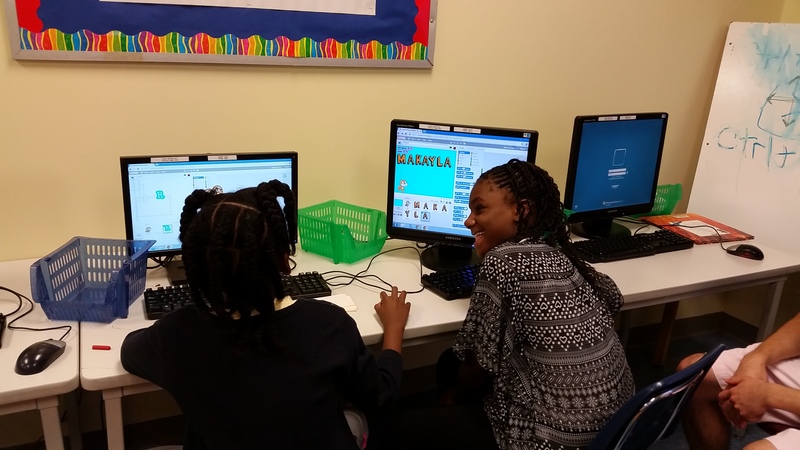 To kick off the week, our Penn Charter chapter worked with Gesu 3rd, 4th, and 5th graders in the beginning of a comprehensive Computer Literacy curriculum (photos below). Students were first given a basic real world challenge: how would they get from the Gesu 5th floor computer lab to the outside recess field. In groups, the students had to write the directions on an index card. When the students read aloud their directions, they realized they forgot, as expected, basic instructions such as "to stand up" and "turn the door-knob". The point of the exercise: for students to realize that while coding on a computer, they must state every single detail, no matter how seemingly minute, in order to ensure their instructions will move from thoughts to actions on the computer. Students then learned how to translate these ideas to the MIT coding program Scratch. Students started by coding for a cartoon fox to move around the screen. By the end of the day they were writing their names on the screens, adding other character movements, and learning how their codes translated on the program. The goal of this curriculum is for the students to learn more about coding, since it is experiencing tremendous growth as a career path, and is extremely applicable to many facets of the 21st century, despite not being heavily taught in traditional education. Later in the week, the Baldwin School came to Gesu to teach about Career Development (photos below). Using a version of a curriculum generously shared with HSHX by the Netter Center at the University of Pennsylvania, Baldwin, an all-girls school, worked with Gesu female students in grades 3-6 to discuss careers that might interest them. Students talked about different things they use every day, and what occupations might be involved in the production of those items. Students were then assisted by the Baldwin students in filling out worksheets which asked questions such as their favorite school subjects, hobbies, and other interests. They were then shown websites, such as this one by kids.gov, to further explore careers that might appeal to them. To end the day, students filled out a sheet of a potential career for them, and how they could learn more about it. While the end goal of this curriculum is for students to identify what careers interest them, it is designed to have them spend time examining things such as what subjects that career is intensive in, what level of education one needs to go into it, and if it’s in a growing sector of the economy that is likely to provide many jobs in the future. The Haverford School conducted a near identical curriculum on a separate day, except this time with the boys of those grades. Our final chapter, the team of Radnor High School and the Agnes Irwin School, was unable to make it to Gesu this past week, but plans on engaging the students in speaking about big issues plaguing society today such as global warming, food, and water. They hope to help the students' public speaking and debate skills while speaking on a peer to peer level. 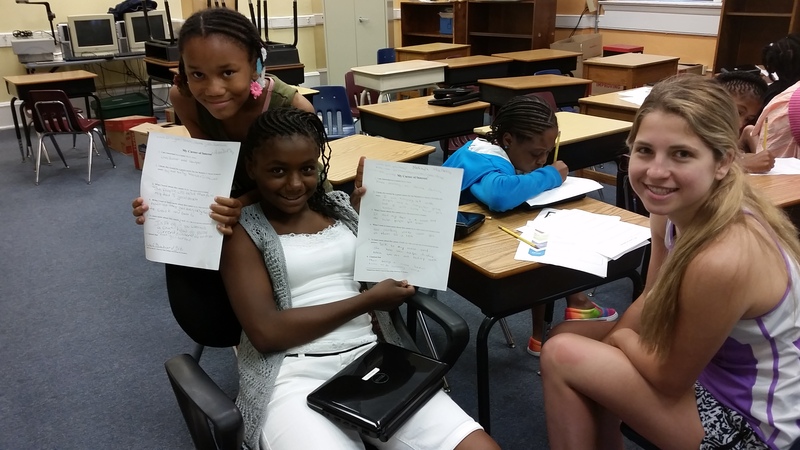 The Gesu summer program will continue for four more weeks, through July 24th. HSHX hopes that the programs started will continue throughout the next school year as after school programs, and ultimately be implemented with a longer time horizon . Additionally, with the growth of technology ubiquity, Baldwin hopes to continue their relationship with the students through cybermentorship, while Haverford is working on a similar digital mentorship program. High School HeroesX is excited to announce the addition of its third Advisory Board member, Dylan Gambardella. Dylan, a resident of Westchester, New York, graduated as the Valedictorian of Hendrick Hudson High School before moving on to attend Duke University, where he is currently a sophomore. A Forbes' 30 Under 30 Summit invitee, Dylan's talents stretch across multiple fields including education, athletics, and research. As Co Founder and President of Students4Students College Advisory, Dylan works to provide affordable and specialized educational consulting to high school students seeking admittance to college. He is also a Director at Campus Enterprises - a company that offers various services including food delivery and cleaning to Duke students on-campus. Most recently, Dylan has co-founded the Next Gen Summit, a conference designed to provide the next wave of young entrepreneurs with the tools necessary to turn ideas into realities. 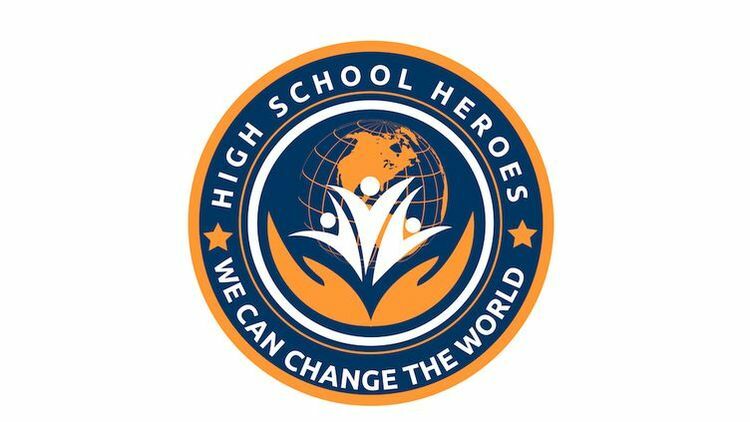 "High School HeroesX is on a mission," says Gambardella. "I am honored to be involved with such a motivated and caring group of young people." Dylan will add to our Advisory Board by bringing his extensive experience as well as a geographic benefit given Duke University's proximity to Raleigh, North Carolina, the sight of a soon to launch HSHX challenge. We are looking forward to having Dylan on board for our Philadelphia challenge and to the bright future ahead!